DePuy Orthopaedics, Inc. has marketed a wide range of hip replacement products, including an all-metal version of the Pinnacle Hip Replacement System, as well as the ASR XL Acetabular System total hip replacement. Both of these DePuy hip replacements have been the subject of litigation due to alleged design defects. DePuy also recalled ASR hips in 2010 after data indicate that many patients were experiencing the early failure of their implants. The FDA approved the DePuy ASR XL System for use in total hip replacement in 2005. 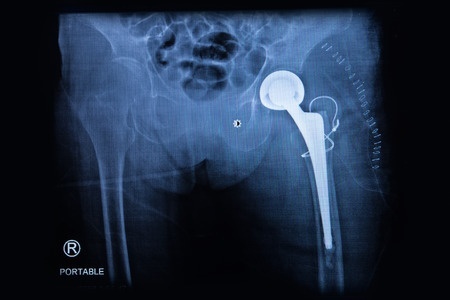 DePuy Orthopaedics had previously launched the ASR Hip Resurfacing System internationally in 2003, but that product was never cleared for sale in the U.S. Together, the two DePuy hip replacement products would be implanted in 93,000 patients worldwide. The ASR metal-on-metal hip implants were intended to provide more stability, making them less prone to dislocation. But in 2010, DePuy issued a worldwide recall for all ASR hips, after data suggested the implants were prone to premature device failure. DePuy’s ASR hip replacements, as well as a version of the Pinnacle hip system that utilizes the Ultamet liner, are considered metal-on-metal hips. These types of implants include an acetabular cup and femoral ball made from a chromium-cobalt alloy. This configuration was supposed to offer more durability. As such, metal-on-metal hips, including the DePuy implants, were marketed to younger, more active patients. In January 2013, the FDA warned that metal-on- metal hips appeared to be more likely to fail prematurely compared to alternative designs. The agency now advises patients fitted with these types of implants to undergo metal ion blood testing if they experience pain, swelling, or other symptoms that could be indicative of implant failure. These complications can lead to premature failure of the hip implant, resulting in revision surgery to remove and replace the device.